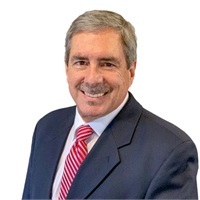 Mr. DeRosa comes to Cardinal Investment Group following a 40-year career in Information Technology, with the last 20 years focusing on Sales Leadership and Account Management. In addition to his professional experience, Mr. DeRosa has studied and applied financial principles to his personal life and is eager to share his experience with his clients. Mr. DeRosa holds the Series 7 and Series 66 securities licenses, allowing him to provide investment advice and trade securities for clients. For more than 26 years he and his family have made Conway their home. He and his wife, Cindy, have two grown daughters, Morgan and Dayle. They all share a love of travel and have even lived abroad which allowed them to gain valuable insight into a new culture. In addition to traveling, Mr. DeRosa enjoys cycling and the health benefits it brings. His desire to give back to his community has led Mr. DeRosa to participate in many church and civic organizations over the years. He is currently a member of the Kiwanis and Optimist Clubs and serves as president of the Faulkner County Landlord Association. He is a member of the Conway Chamber of Commerce. He and his wife are members of New Life Church and lead a community group on the Foundation of Marriage.